On Nov. 28, 1942, Boston’s Cocoanut Grove nightclub caught fire on a busy Saturday night killing 492 patrons and injuring hundreds of others. This horrific “mass casualty” event predated organized trauma systems in the United States. The tragedy changed not only the fire safety standards for buildings, but also imprinted a generation of Boston surgeons with the images of a medical care system that was overwhelmed by a flood of severely injured people. The cowardly bombings in our city a year ago were overshadowed by the selfless acts of bystanders and our professional first responders, who expedited victims’ access to emergency care. To capitalize on that heroism, hospital trauma teams had to be prepared to receive the victims, rapidly and expertly triage them and provide the best immediate and subsequent care. Our systems worked especially well on that tragic day, and people survived injuries that would have been fatal inless prepared settings. Our trauma systems function this way every hour, every day, year-round. We care for people who fall, who are burned, who crash their cars and their bicycles. In fact the night after the marathon bombings four gunshot victims came to Boston Medical Center; sadly this is a common occurrence in cities across the country. And while we don’t think anyone takes these trauma services for granted, after April 15, 2013, there was certainly increased recognition and appreciation for the sophistication, experience and expertise of the Boston trauma centers. Organized trauma care in the United States has been developed over the last six decades. The concept of designated trauma centers has been disseminated around the world based upon two concepts: optimal management of injuries demands specialized, timely care, and doing this well requires dedicated teams prepared to act within the “Golden Hour” when proper treatment has dramatic lifesaving impact. Modern civilian trauma centers are specialized units with trained personnel ready to receive severely injured patients at all times. Surgeons, emergency medicine physicians, nurses, critical care experts, pharmacists, blood bank staff and others all work cohesively on behalf of the injured. Accomplishing this demands ongoing team education and training, systematic debriefing and case reviews, and quality improvement including regular reports of performance and outcomes. 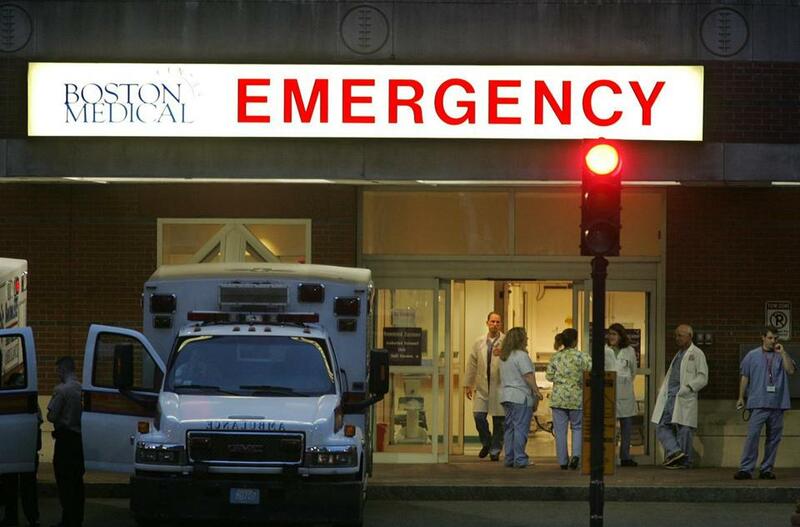 At Boston Medical Center, we regularly also conduct live simulations of casualty events to test our readiness. We were fortunate last year to have five ACS Level I trauma centers in Boston prepared to receive the injured. Preparation is the key to success in all trauma care, and this is never more evident than when there are many injured patients to be cared for simultaneously as on Patriots’ Day last year. It is expensive to train the caregivers and maintain the system, but the money is well spent. Hospital trauma teams are an essential public health resource. Gerard Doherty is surgeon-in-chief at Boston Medical Center. Peter Burke is chief of trauma services at BMC.